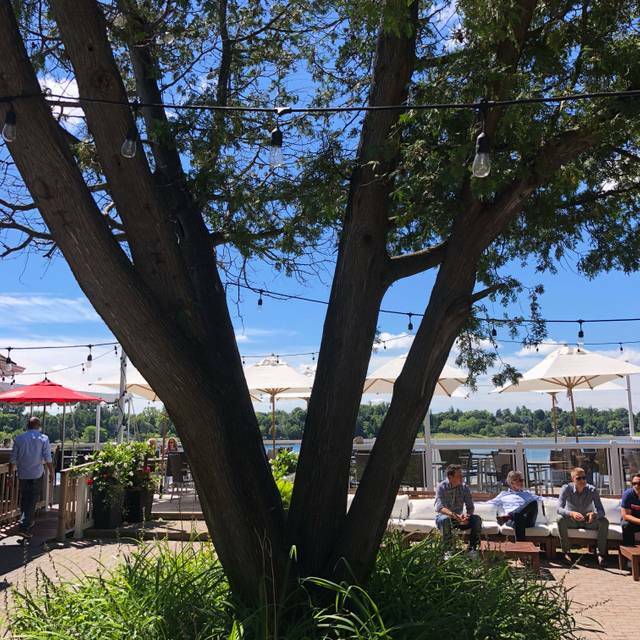 Soak up the sun, have a tasty cocktail and delicious food at what is probably one of the best patios in the GTA ! A fantastic venue for all sorts of events. Have your wedding ceremony on the beach and reception all at same location.... just 40 minutes from Downtown Toronto. 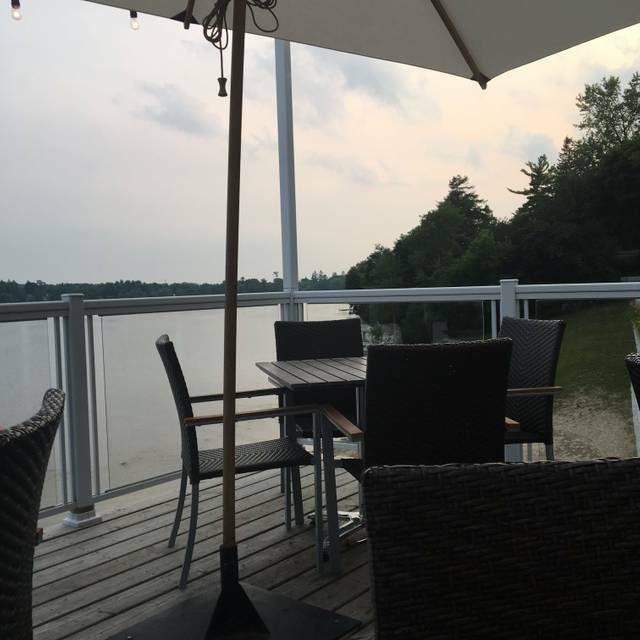 We left it a bit too late in the season to go so it was a bit chilly, but the ambience was lovely, knowing the lake was right there, the food was so tasty 😋. Service was on point. All terrific. We went to celebrate my BF’s birthday and he was very happy. The location is beautiful and the food was very delicious, although, a bit pricey. We will definitely visit again on a warmer day. A nice touch is the restaurant offers temporary use of their blankets for chilly days/nights. Great service and delicious food. Notice they have blankets to provide if the weather is chilly which is really thoughtful. We will definitely come back! Our server was wonderful: provided great service and was very friendly. 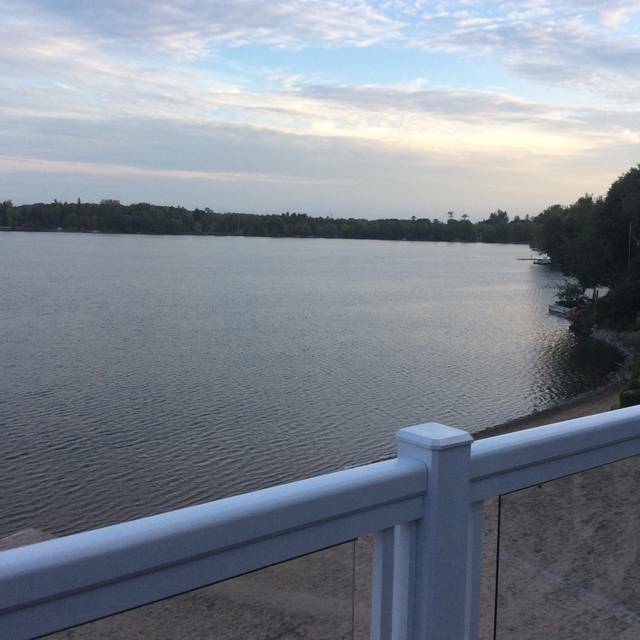 Lovely view of the lake. Our meal was just OK. My wife loves fish and she was disappointed. My pasta was OK and I have had much better in other local restaurants. Very expensive for what we got. Clearly you are paying for being right on the lake. we have enjoyed coming here since the opening, however the rise in wine prices has reduced our enjoyment. we do not visit more than we used to. This was my fourth time back this summer. The food is always fresh, creative, savory, and wonderful size share plates. A magnificent seasonal restaurant overlooking the lake. The service staff are attentive, knowledgeable and friendly. A pleasure always and I look forward to next season. My first time there! I had a wonderful time! The service was great! We frequent this spot a lot in summer season. A little hidden gem indeed. 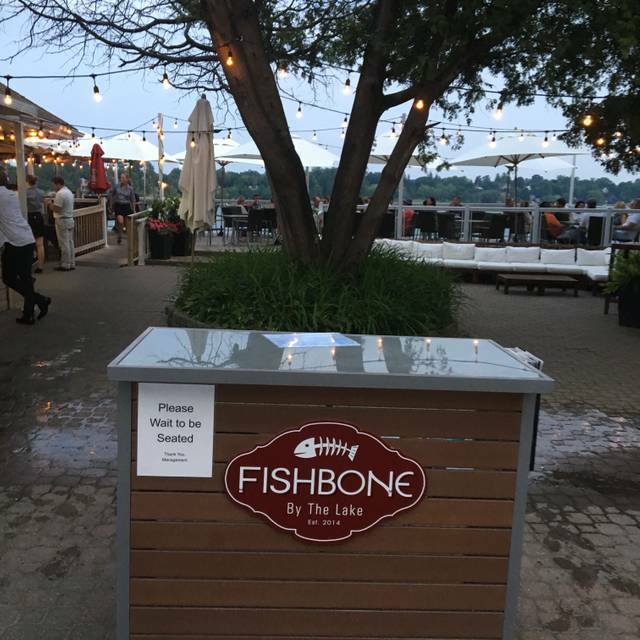 The only disappointment was there was a lake side table free and the hostess refused to seat us there but they say they will try to fill requests but we were there 30 minutes before the other guest. It was my moms 93 rd birthday and she had never been so I was disappointed to be treated like that. Seafood dishes are fresh and tasty. Dessert is delicious. Suggest that a bread basket with olive oil dip as a complementary starter. 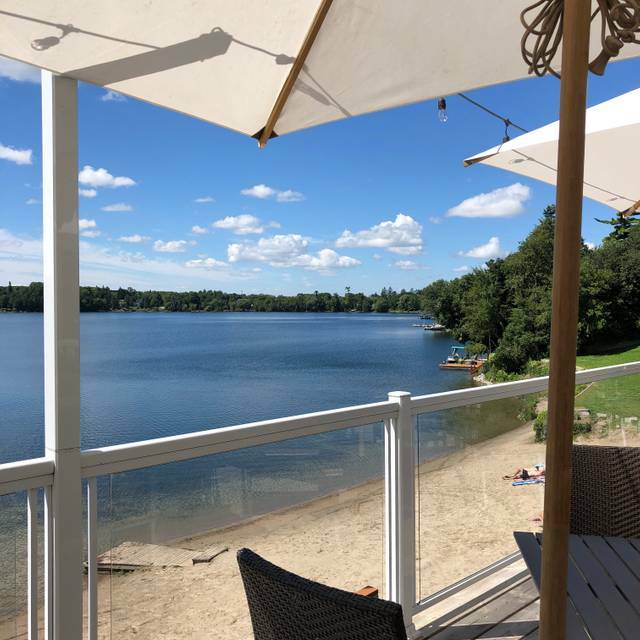 Overall food and lake view offers unique dining in York Region. Short drive , nice vibe and great food. We look forward to a return next summer. Love it. Mostly for the feel. Food is good. A little on the pricey side for the small portions. Fish tacos left me starving an hour later. Only two and very skinny. Food isnt amazing but the view is stunning and the drinks are delicious! 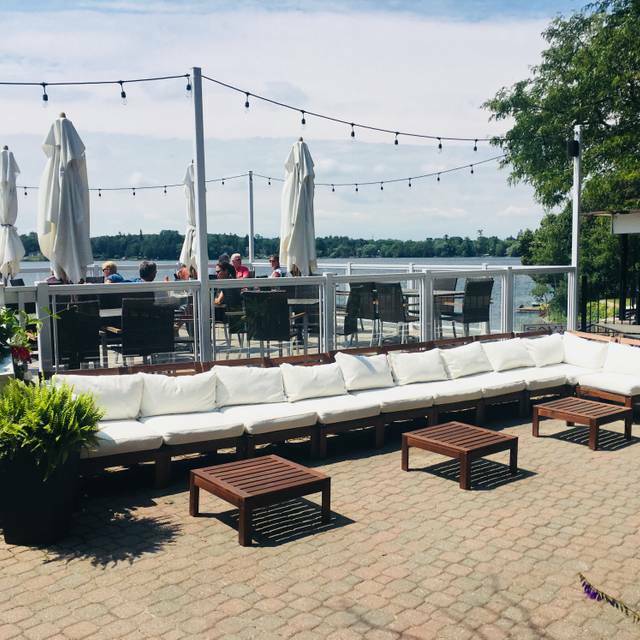 The environment & patio setting by the lake are excellent in Summer. Staffs are very friendly & professional. Too bad food menu are quite different from Fishbone Stouffville where we just visited couple weeks ago. But food are still generally good, esp. the medium-rare cooked yellow fin tuna is super yummy. One exception is PEI mussels are having quite much sand. Prices are competitive. Recommended. Options available. Also I find it’s very expensive too. I. had a glass of wine and some fries and wings and my husband has 1 beer and a Caesar salad and burger which cost us $100 with tip. It’s a little steep I would say but we still love this location and ambience. Delightful surroundings and very good service. Brings back so many memories for me as I grew up at Mussleman's Lake, enjoying it every summer. Being that it was the Sunday of a long weekend and really busy, food and service was outstanding! Dining lakeside was a real treat. Found it too be a bit too pricey though...would only dine here on special occasions. 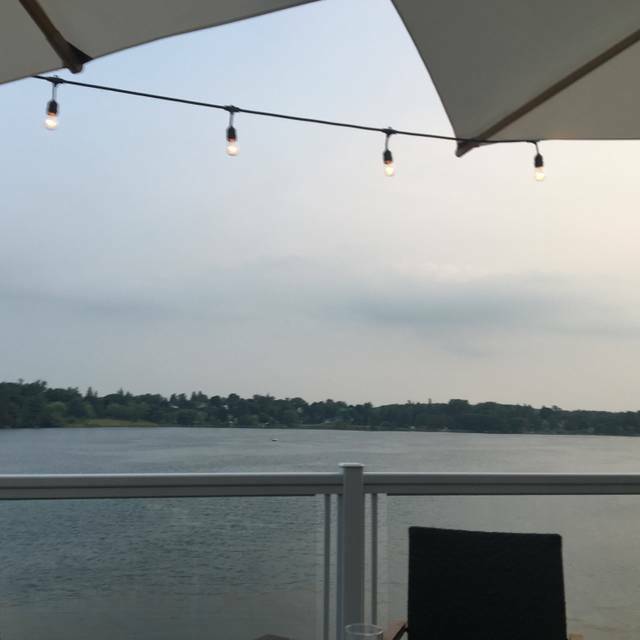 Beautiful restaurant, great food, great view of the Lake. Friendly staff. We enjoyed our lunch very much the beet and orange salad was delicious! We are coming back next year for the crab fish cake, The view of the Lake was gorgeous, we had a lovely sunny day. Amazing atmosphere and great view of a small lake. 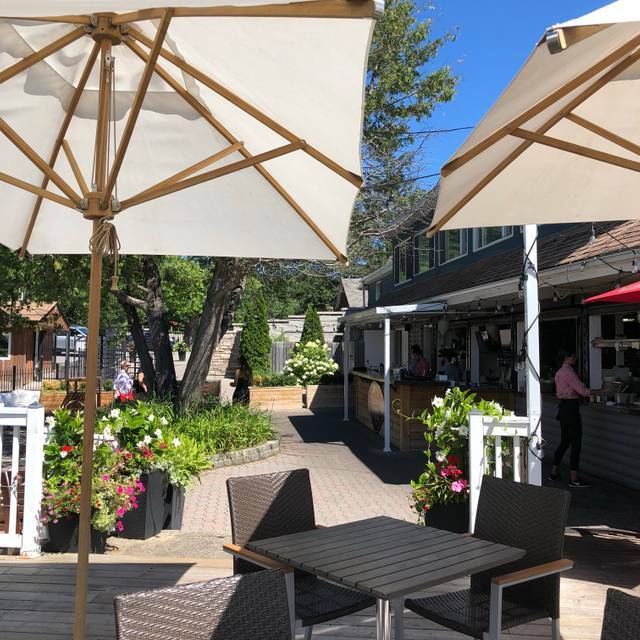 Nestled in a resort community the quaint beachy atmosphere leads is a perfect segway to the delicious meals. The shrimp appetizer was to die for. Entrees will not disappoint, tried the tuna steak and flat iron steak. Great service and staff. We had our nine-month old daughter with us, and the staff were very attentive and cheerful, which made our daughter super happy! Food was great - well executed pizza and mains. Management at the front of the house was very engaged and even checked in with us as we were leaving to ensure we had a wonderful experience. We ate here midday during the week in the summer. The menu was somewhat limited with many fish and seafood dishes. Found the food ok for taste but nothing special. 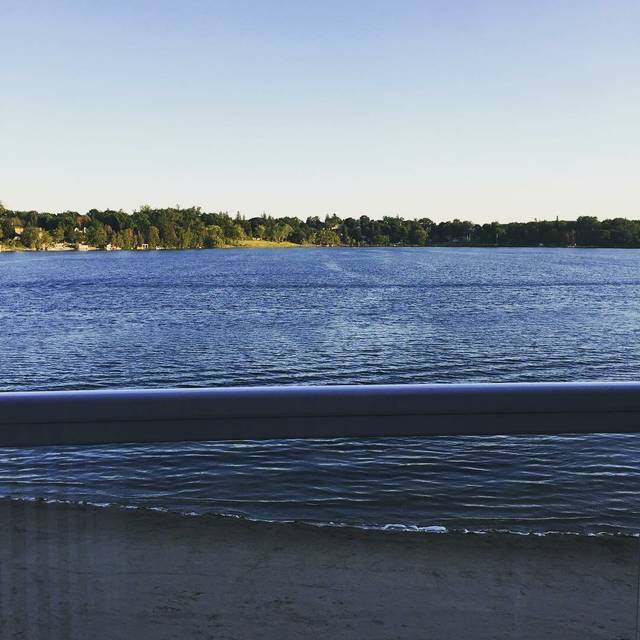 The best part of the restaurant is the view overlooking the lake. Service was good. We would return for the location. Lovely evening at one of my favourite places. Our server,Natalie was a wonderful server, attentive and friendly, great suggestions on the menu. playing some soft music would be nice . unfortunately the weather turned out to be cold that day but it was a nice seeing the staff handing some throws to the customers . Went there for our 48th anniversary, were there 5 years ago. Still has really good food and the service is very good. Wish it was open longer in the season. Will definitely be back. Love the spot. The ambiance and atmosphere is very good. The food selection is reasonable but value has decreased as prices have increased a bit beyond the price that I would pay for atmosphere. In particular the cost of a drink to toast a special occasion has climbed this season. The cost of a alcoholic beverage has increased to the point that I would skip an afternoon get together and choose elsewhere for better value. Great ambiance but the price point has crept a bit beyond the value for me. Reserved for special occasion now instead of monthly get together. Very good food and service. The views are nice too. Try the Spanish Octopus!